Improving the health of the deaf and hard-of-hearing population through accessible patient-reported outcome measures is the goal of a $1.6 million National Institutes of Health-funded study, led by Rochester Institute of Technology. Researchers and providers will, for the first time, have a tool for assessing their deaf and hard-of-hearing patients’ health-related quality-of-life outcomes in American Sign Language. Resulting data will lend new insights in patient outcomes research and improve prevention and treatment models for the underserved deaf and hard-of-hearing population, said Poorna Kushalnagar, a health psychologist and research associate professor in RIT’s Chester F. Carlson Center for Imaging Science. Patient assessments evaluate symptoms, well-being and life satisfaction, as well as physical, mental and social health. Surveys designed for English speakers present a language barrier for many users of American Sign Language and accessible services, Kushalnagar said. 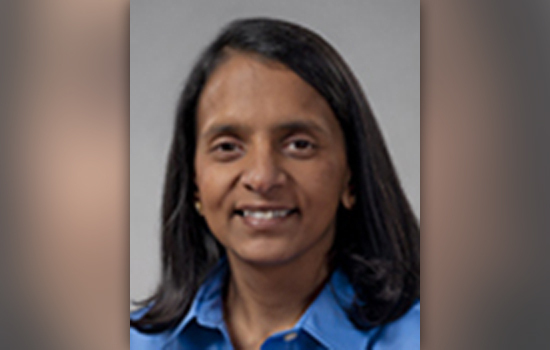 She and her colleagues at Northwestern University, University of Arkansas Little Rock and Gallaudet University have developed a new profile based on the standard Patient Reported Outcome Measurement Information System, or PROMIS, used in clinical outcomes research. The team modified the PROMIS domains to reflect the experiences of deaf and hard-of-hearing people in English and ASL. The resulting PROMIS-Deaf profile has undergone rigorous cognitive testing with deaf and hard-of-hearing adults and is being used to gather data from a nationwide sample. A large sample of 650 participants will allow researchers to analyze data from several subgroups within the deaf and hard-of-hearing population, such as by hearing-level, language, gender, ethnicity, race and identification with the lesbian, gay, bisexual, transgender and gay community. “This project will yield the largest, most representative quality-of-life data set on deaf and hard-of-hearing adults with early deafness,” said Kushalnagar, director of the Deaf Health and Communication and Quality of Life Center in RIT’s Center for Imaging Science. The NIH grant and supplemental research funding supports three undergraduate researchers and a post-baccalaureate diversity fellow at RIT, as well as a graduate assistant researcher at the University of Arkansas Little Rock. Kushalnagar’s team includes David Cella, chair and professor of medical social science in the Feinberg School of Medicine at Northwestern University, and Samuel Atcherson, associate professor of audiology at the University of Arkansas Little Rock.